IFNY – Insurance Federation of New York, Inc. Serving the men and women of the insurance industry since 1913. Since its inception in 1913, the Insurance Federation of New York, Inc. (IFNY) has earned broad-based distinction as one of New York’s insurance industry’s most widely respected organizations, communicating ideas among all sectors of the industry and bringing public and private interests together for the benefit of all. A commitment to free enterprise and service. IFNY’s annual calendar of events brings together the “best and brightest” in our field to ensure that industry intelligence is shared and that support for best practices in insurance business, law and regulation earns the understanding of leaders across the spectrum. 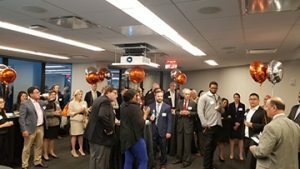 The Federation invites its members to attend the Annual Fall Cocktail Reception and our popular “Breakfast With…” programs, featuring distinguished leaders in the insurance industry and regulatory communities. 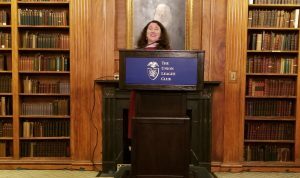 IFNY also sponsors educational seminars in cooperation with the New York City Bar Association’s Committee on Insurance Law, as well as other organizations. 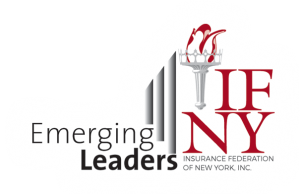 Recently, IFNY has added an exciting new division to our group called the IFNY Emerging Leaders. This division is made up of a diverse group of young professionals from all facets of the insurance and reinsurance industries. Its mission is to engage and develop the next generation of young, talented professionals in the insurance and reinsurance industries by providing members with networking events, mentoring opportunities, educational programs and charitable events planned throughout the year. Membership in this group provides access to all IFNY events. 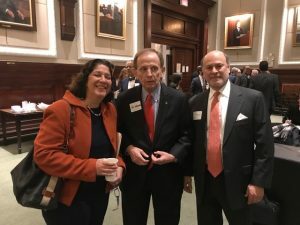 Finally, IFNY caps off its year with the Annual Luncheon in November, where IFNY honors individuals whose significant achievements have been important to our industry and to the civic good with the Free Enterprise Award and the Public Service Award. The event encourages attendees to reconnect with old acquaintances and make new ones. 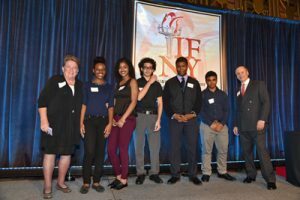 IFNY also proudly notes the success of the IFNY Interns summer program. 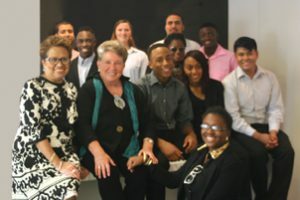 Federation members have given generously of their time and finances to support this program that reaches into the community to afford highly motivated teens from challenging backgrounds an in-depth opportunity to learn about the insurance industry and to consider a career in insurance or one of its allied fields. The IFNY Interns of today will be tomorrow’s industry leaders. IFNY continues to provide its diverse members with extensive networking and educational opportunities. We hope that you will take advantage of the opportunity to participate in upcoming programs by becoming a member of IFNY. We are convinced that you will appreciate the concrete benefits of membership as a business leader in the New York State insurance industry. 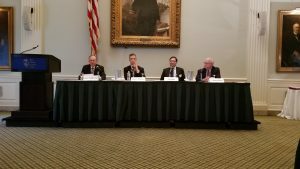 For more than 100 years, the Insurance Federation of New York has been a force for communicating ideas among all sectors of the insurance industry, bringing public and private interests together for the benefit of all. 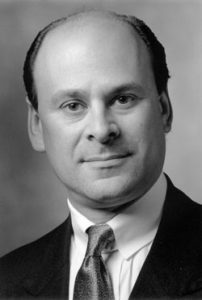 The Insurance Federation of New York’s prestigious Free Enterprise Award—presented to some of history’s legendary entrepreneurs—continues to salute risk takers and leaders whose creativity and initiative has enabled the expansion of business throughout New York, across the country and around the world. In the insurance industry, it is the commitment and vision of these leaders that has created and refined the risk transfer mechanism to spur economic growth and contribute to personal financial security for countless millions. Also, our industry exists to protect the health and welfare of our insureds and those who depend upon them, and this year we proudly introduce a new award, the Public Service Award, to recognize outstanding achievement in the public interest. 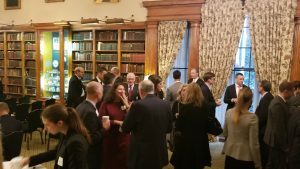 Today, the Insurance Federation of New York’s annual calendar of events brings together the “best and brightest” to ensure that industry intelligence is shared and that support for best practices in insurance business, law and regulation earns the understanding of leaders across the spectrum. 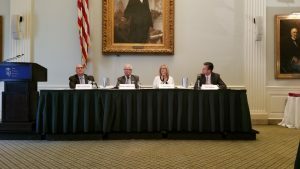 This shared goal draws business executives, legislators and regulators to our Annual Luncheon, our “Breakfast with…” programs, professional seminars, and other events. 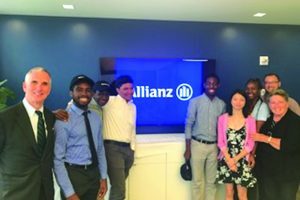 Our IFNY Interns Summer Program reaches out into the community and gives highly motivated teens from challenging backgrounds an opportunity to learn about the insurance industry in all its facets and consider a career in insurance. Federation members have given generously of their time and finances to support this program. We also note a new division in the Federation, the IFNY Emerging Leaders. Through its programs younger insurance professionals will have the opportunity to hear from and meet seasoned executives and industry leaders with an eye toward the development of their own careers. The Insurance Federation of New York is a not-for-profit New York corporation that does not engage in lobbying activities and is open to all. The is a FREE event, however, pre-registration is required. Please email gmb@cinn.com to register. As the events are scheduled, detailed information will be posted below and can also be found online at http://www.nycbar.org/calendar/events. 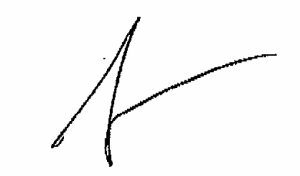 Programs are held at the Association of the Bar of the City of New York, 42 West 44th Street, New York, New York (between Fifth & Sixth). For more information, IFNY members should contact the City Bar at (212) 382-6600 or log on to www.nycbar.org. IFNY Members must call the City Bar in order to receive a discount. 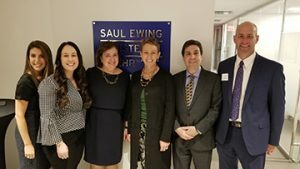 Tuesday, May 7, 2019 | 9:00 a.m. – 1:00 p.m.
Photo: Our Co-Hosts, Saul Ewing Arnstein &amp; Lehr, pose for a photo with Inga Beale in their recently opened New York City Office during the IFNY Emerging Leaders Group Reception on November 7. L-R: Valerie Pennacchio, Associate; Kara Pike, Associate; Laurie Kamaiko, Partner; Inga Beale, Former CEO, Lloyd’s of London; Fred Garrson, Partner; and John Basinger, Partner. Venue: Union League Club in New York City. Surplus Lines and Reinsurance–where we are today and what to expect tomorrow. recaped some of 2017’s most noteworthy developments. (Events listed below are not affiliated with IFNY and are listed as a benefit of membership only. For consideration, members in good standing may submit event listings to ifny@cinn.com. 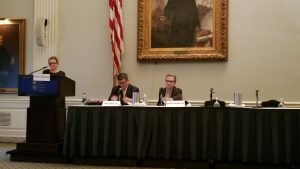 IFNY 2018 Annual Award Luncheon Recap and Slideshow. The Insurance Federation of New York has, for over a century, continued to develop, becoming a leading resource for communicating ideas among all sectors of the insurance industry. 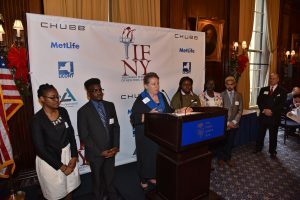 IFNY’s prestigious Free Enterprise and Public Service Awards, presented to notable entrepreneurs and public figures every November at the Annual Luncheon, continues to salute captains of private and public institutions whose creativity and initiative enables U.S. businesses to expand. The commitment of these leaders has ensured the growth of the insurance business in New York. 1974 Blake T. Newton, Jr.
IFNY Emerging Leaders is a division of the Insurance Federation of New York (“IFNY”) created to bring together a diverse group of young professionals from all facets of the insurance and reinsurance industries. Our mission is to engage and develop the next generation of young, talented professionals. IFNY chartered the IFNY Emerging Leaders to keep up with the demands of a growing New York insurance market and its changing demographics. 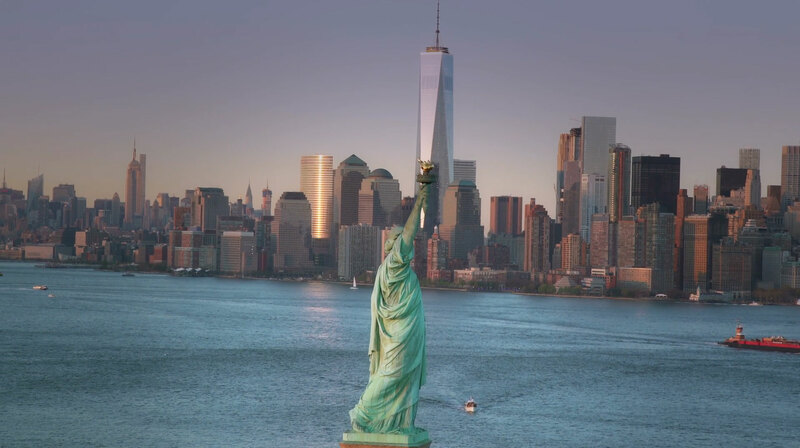 Since 1913, IFNY has been recognized as a premier insurance industry organization for its continued efforts to establish New York as the world’s foremost insurance market while promoting free enterprise and service. This platform provides IFNY Emerging Leaders’ members with extensive resources and unparalleled opportunities to network with and learn from senior company executives, state and federal regulators, key legislators, industry experts and other industry professionals. IFNY Emerging Leaders provides its members with networking events, mentoring opportunities, educational programs and charitable events planned throughout the year. In addition, IFNY Emerging Leaders’ members will have the opportunity to attend events hosted by IFNY, which include recurring “Breakfast With…” programs, the Annual Fall Cocktail Reception and the Annual Award Luncheon. We welcome all young professionals interested in insurance and reinsurance matters to become involved. Whether you are an insurance or reinsurance company employee, agent, broker, intermediary, regulator or attorney, or simply wish to become active in our industry and further your own career, we welcome anyone who has the desire to be part of our community to join and to take full advantage of all that IFNY Emerging Leaders has to offer. Winnie Y. Zhang – Starr Insurance Holdings, Inc.
For additional information, please contact Gina Marie Balog-Sartario at ifny@cinn.com or at 914.966.3180, x113. After many requests over the years and much discussion among Board members, last year IFNY decided to allow sponsorship of events. This has enabled sponsors to link their brand to our events, sustaining our core mission of service to the industry. The initial response has been overwhelming and we would like to thank the companies that signed up as Silver, Gold or Platinum level sponsors to support our mission and goals: CHUBB, MetLife, LICONY, Amalgamated Life Insurance Company and Baker Tilly. 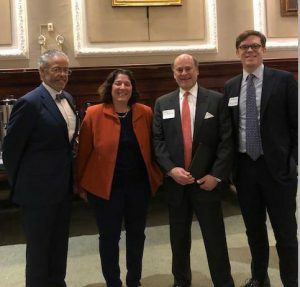 In addition, FTI Consulting, ShelterPoint Insurance Company, BDO, AXA and ELANY, took advantage of the program by sponsoring specific events that included a “Breakfast With…” program, “An Evening With…” program, and a networking event hosted by the IFNY Emerging Leaders division. The success of this program has increased member benefits, enabling us to offer a CLE program and more free member events and it has also showed us ways we can expand the sponsorship programs to include levels ideal for all budgets and marketing efforts in a cost effective way, with as few “frills” as possible. Sponsorship provides a great means of broadening a company’s competitive edge by improving image, prestige and credibility through events that your target market finds attractive. Over the last several years, corporate sponsorship has become the fastest growing type of marketing in the United States. Sponsorship’s help companies with their public profile relatively cheaply by enhancing visibility and image. Additional benefits include developing closer and better relationships with customers – both existing and potential ones – showcasing services and products and, when strategic, the effort can boost both short-term and long-term sales. 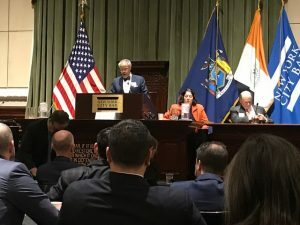 IFNY, in its 104th year, has earned broad-based distinction as one of New York’s insurance industry’s most widely respected organizations, communicating ideas among all sectors of the industry and bringing public and private interests together for the benefit of all. The Federation’s reputation provides sponsoring companies with a platform and association that enhances their product and corporate image. To view the opportunities available, please download the information sheet by clicking here. If you require additional information, please contact Gina Marie Balog-Sartario at 914.966.3180 x113 or via email at gmb@cinn.com. 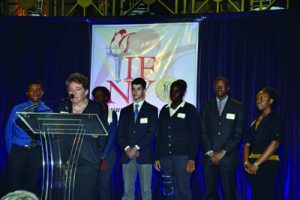 IFNY Interns is a summer program that introduces deserving, high-performing local high school students, from disadvantaged family circumstances, to the New York insurance and financial services sector. The insurance industry and the professional firms that serve it are major providers of skilled jobs and rewarding careers in New York. Exposure to our industry through participation in IFNY Interns offers a strong and timely incentive to these young New Yorkers to pursue their dreams. The program runs each summer from late July through the middle of August. For more information, click here to download the full description and details about the program. L-R: Precious Blanding, Jean Derosier, Atira Meade, Lashawnda Wilson, Tatsuya Rivera. Missing from this photo is Romaris Moquette. 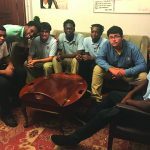 All were ages 15-17 last Summer, all are scholars in the Boys Hope Girls Hope program in Brooklyn. L-R: Stephan Pemberton, Glody Omasombo, Admir Djesevic, Teanna Holmes, Elijah Lashley and Shanika Foster. Mary Lanning of Yes!Solutions, Inc. at the podium. Yes! I would like to recieve news from IFNY.